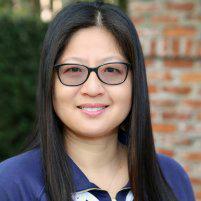 Testimonials & Reviews - Winter Park, FL: Fay Hu, D.M.D. Dr. Fay Hu always appreciates feedback from her valued patients. To date, we’re thrilled to have collected 19 reviews with an average rating of 5 out of 5 stars. Please read what others are saying about Dr. Fay Hu below, and as always, we would love to collect your feedback. Gail did an excellent job of cleaning my teeth. She gave good advice about cleaning around my bridge. Ashley did an amazing cleaning for a happy healthy bright smile. Unfortunately I lost a filling and needed a crown. Dr Fay did the temp crown procedure with no pain. Both busy were beyond my expectations for a very good experience and friendly staff. Dr. Fay Hu and her entire staff provide excellent service, paying careful attention to potential problems. It's actually fun coming to get my teeth cleaned. I had my teeth cleaned and it was very professional and relaxing, I always feel I am 'in good hands' with suggestions for future care and cleaning. I would definitely recommend Dr. Hu's practice. When I had other work done, it was done 'in house' and not sent out. Most qualified dentist in the greater Orlando area. The staff is fantastic, always one happy family. The work is superior. I've always had "dental issues and challenges" and Dr. Fay Hu and her team have met all my needs in spades. She's proactive and thorough. I'm so thankful she is our family's dentist. Dr Fay always provides the highest level of care in such a kind and caring way. I’m so lucky to have her for my dentist! I am originally from KY and have been going to Dr. Fay since 2004. She and her staff are great and wouldn't think of going to anyone else. Dr. Fay is very kind and she cares of patients. She has a profession and skills team workers with her. Her knowledge values her dental service in Winter Park. As always, I enjoyed my teeth cleaning with Lisa, very much. She is so kind and personable and so careful. I used to hate going to the dentist. Now I actually look forward to it. Nothing unusual, on-time, professional and efficient. First, I had the best teeth cleaning. Then I showed Dr. Fay a broken tooth and she knew exactly what to do. The process to fix it started right away with X-rays. She always works with my budget too. I won't let anyone touch my mouth except for Dr. Fay and her awesome Staff ! Good job! Advanced medical devices! High dental skill! Harmony team work! Dr. Hu is the best. I have great confidence in her judgement and ability. Teeth cleaning...very nice tech Lisa. Dr. Fay Hu and her staff are very nice and very professional, I’m very happy with their service! I love Dr. Hu and all her staff, especially the hygienist. A friend recommended them to me because I have sensitivity and hated cleanings. Now, I have no fear or dread of them - at all. Also, Dr. Hu created a bite guard for me that is FAR superior to the ones I have had in the past. If I ever move out of the area, I will have serious doubts about finding a comparable dentist or hygienist. And the rest of the staff is great, too. Doctor Who always delivers Excellence at her practice. Her staff is also diligent and professional at what they do.